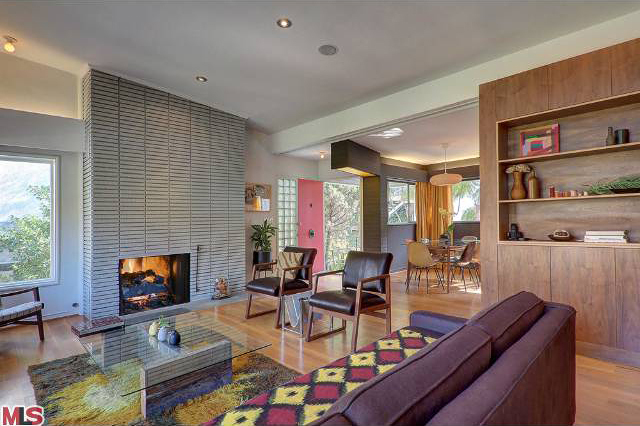 Midcentury meets moderne in this truly unique Los Feliz stunner. This beautifully restored home has been updated from top to bottom. Painstaking attention to detail was taken in the design and execution by Michael Pinto Design Principal at Osborn. The interior detailing is augmented by the 180-degree of Griffith Park canyon views. The modern styling combined with the natural beauty brought in by high clerestory windows produces a calming sanctuary in the middle of the city. Features include newer electrical, insulation, roof, deck, walnut cabinets & wall paneling, wide-plank white oak flooring, tankless water heater, wired for sound, abundant outdoor spaces for entertaining, room for a pool, ample storage as well as 2 fireplaces & more. 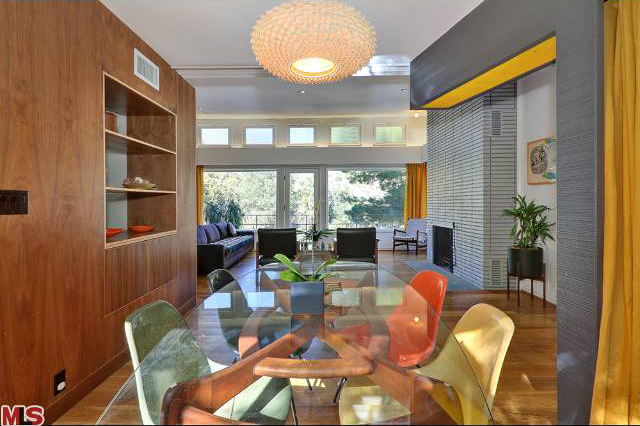 This house truly has too many features to list & must be seen in person to be appreciated.